At first glance, the exhortation by the Oregon-based corporate behemoth seems rather harmless and innocuous. In fact, give it a quick perusal while you’re busy making dinner, paying bills online, or toying around with your favorite smartphone app and the entreaty comes across as downright positive, affirming, and motivating. After all, we all believe in something, don’t we? Who of us wants to be viewed as merely coasting through life with no sense of conviction or creed to help us navigate a world that all too often proves itself to be morally and ethically rudderless? Notwithstanding the aesthetic significance of this advertising shibboleth as a successful marketing ploy or motivational axiom, what I find most concerning is the fundamental question the statement inherently begets. 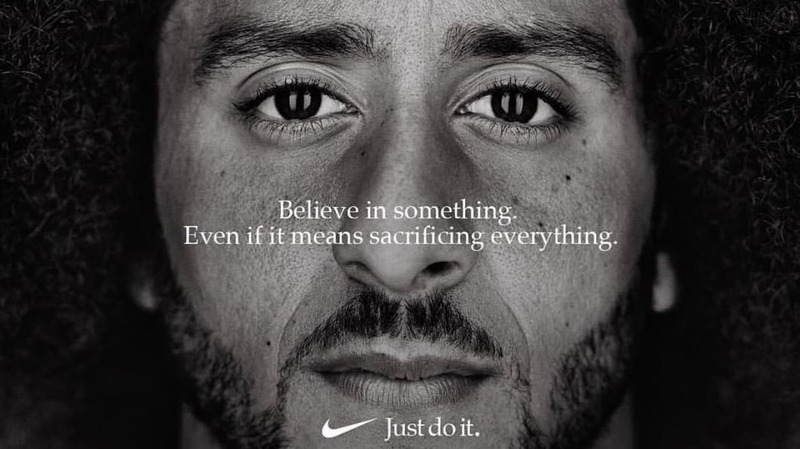 That is, should believing in “something”, regardless of its veracity or legitimacy, be considered a virtue in and of itself (as Nike® seems to think)? Throughout Scripture, the concept of belief is always presented within the paradigm of placing one’s faith in something or someone against the backdrop of that which is objectively true (e.g. 1 Jn. 4:1). Belief is not an abstract notion that embraces the open-ended idea that the principles and precepts in which we place our faith should be of no consideration with regard to fidelity or trustworthiness. In other words, if we are to believe in something, that “something” in which we believe should definitively convey truth. But what makes Luther’s truism so profound is that it is because each of us must do our own dying that what we believe is so eternally crucial. Which is exactly why the Nike® declarative must not get a pass. For the question must be asked and answered: why should I believe in something and why can’t that something in which I believe be anything I choose? If you think the new Nike® campaign slogan is about Colin Kaepernick, I humbly ask that you think again. ‘Cause your improvement might be worse. Jefferson Finis Davis believed in something, but he is not the face I see when I think of equality for all. O Darrell, this is so true! Thank you for giving the caution & may this article be used to open many eyes!